A bucks and hens party marks the last night for a single lady or gentleman to celebrate freedom before she or he ties the knot. This is a once in a lifetime event, so be sure to make it memorable by celebrating in style. 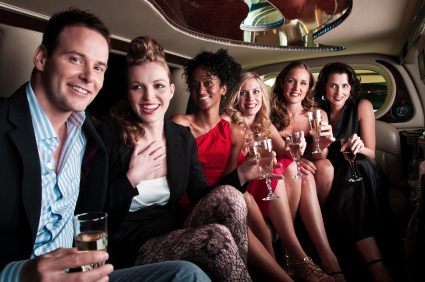 Hiring a limousine for a bucks and hens party is probably the best decision you can make. A limo service with an experienced and professional chauffeur guarantees a safe and hassle-free evening with your friends – freeing you from the worries of driving. All that’s left for you to do is have a great time with your friends. With our magnificent range of luxurious limousines, we can transport you wherever you want to go. Whether it’s golfing with the guys, having spa with the ladies or night out to a town party, we have the best limousines to cater to your various needs. We can get your once in a lifetime party started the moment you step inside our limo and it will only stop the moment we take you back to your respective homes. So we make sure that your ride is an exceptional one by providing you the best and one of a kind service. Exclusive Limousines can provide you with the most memorable and sophisticated ride, affordable price and one of a king service. Call 0428 486 637 for Premier Limo Hire Melbourne. We can make the best night of your life happen with our comprehensive range of luxurious vehicles, pristine customer service and very competitive prices.